Nathan Lawrence is a 2007 graduate of Lakehead University’s Honours Bachelors of Commerce Program, Majoring in Human Resource Management. Putting his Business Degree to work, Nathan has spent nearly a decade with Dominion Lending Centres. He brings a local, knowledgeable, and fresh perspective to Mortgage & Equipment Lease Financing in Thunder Bay and the Region as a whole. As a licensed Mortgage Broker, Nathan advises his clients throughout the mortgage financing process by helping them secure financing catered to their unique needs. His clients also benefit from his unbiased, independent financial advice. Nathan has helped clients finance the purchase of first homes, new homes, recreational properties and investment properties. He has also assisted clients in refinancing their mortgages to access the equity in their properties for future investment plans, debt consolidation or to help with other large purchases. In addition to his professional role as a Mortgage Broker Dominion Lending Centres Mortgage Excellence, Nathan has taken a very active role in the community as a whole. He currently sits on the Board of Directors for the Thunder Bay Chamber of Commerce and the Ontario Chamber of Commerce. He is a Past President of the Northwestern Ontario Chamber of Commerce. 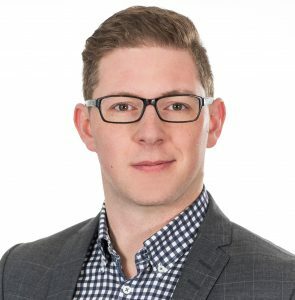 Nathan has also played a leading role in the growth of SHIFT – Thunder Bay’s Young Professionals Network (YPN) where he served as President for 2 years. In addition Nathan was a co-founder of Ontario Young Professionals Network. An organization dedicated to strengthening the Young Professionals Networks across the province of Ontario. His objective is to help give people a strong foundation in this community, he achieves this by helping people with home purchases and by connecting and nurturing young professionals, both allowing people to grow strong roots in Thunder Bay. Given the opportunity, he hope to exceed your expectations.